Overall: The Jen Kao show pulled in some very unique front row attendees such as Beyonce's stylist, Ty Hunter, Actress Zoe Kravitz and my favorite, Elle's Style Director, Kate Lanphear. 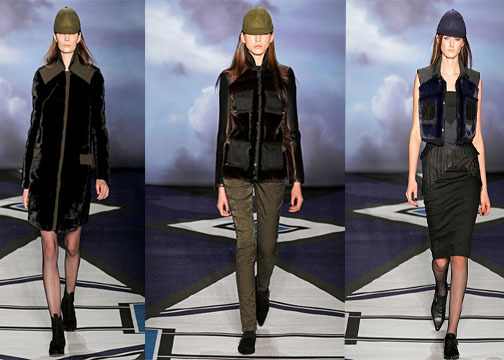 Last season designer Jen Kao was all sci-fi with her collection now she is coming back down to earth with military inspired pieces that were encapsulated in fur. 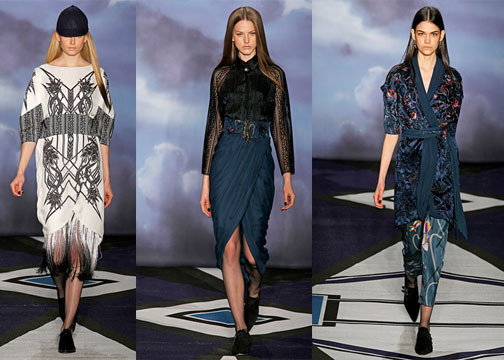 The collection then drifted on to pieces that were inspired by Chinese prints and embroidery, fringe and eyelet detailing.